Simple Website Builder DIY website up in minutes. Free trial. Hourly Service Blocks Need a pro? On a budget? We can help. Online Marketing Build your brand, traffic, and sales. Merchant Services Accept credit cards online and in store. 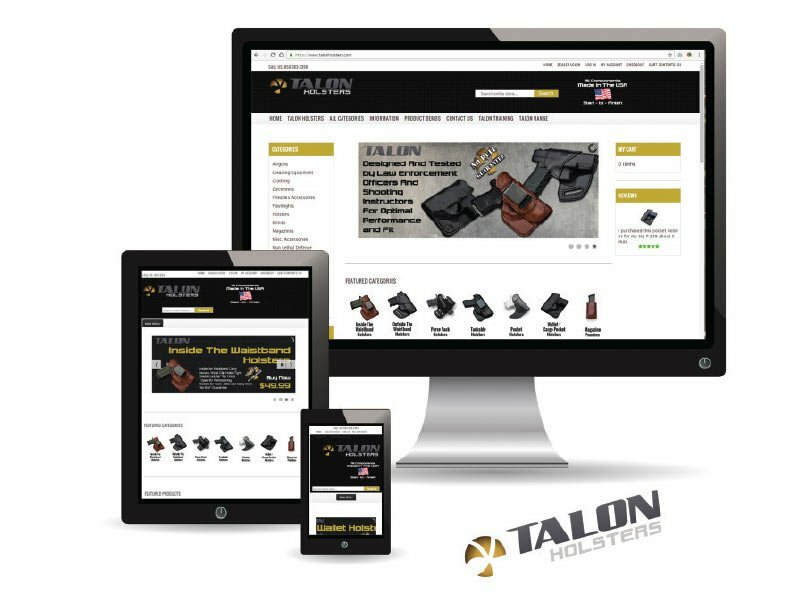 Talon Holsters is a leather holster manufacturer, shooting range, instructional facility, and pro-shop. We designed Talon’s e-commerce website, integrated it with Amazon Sellercentral, and allowed the website to download to import to Quickbooks desktop. 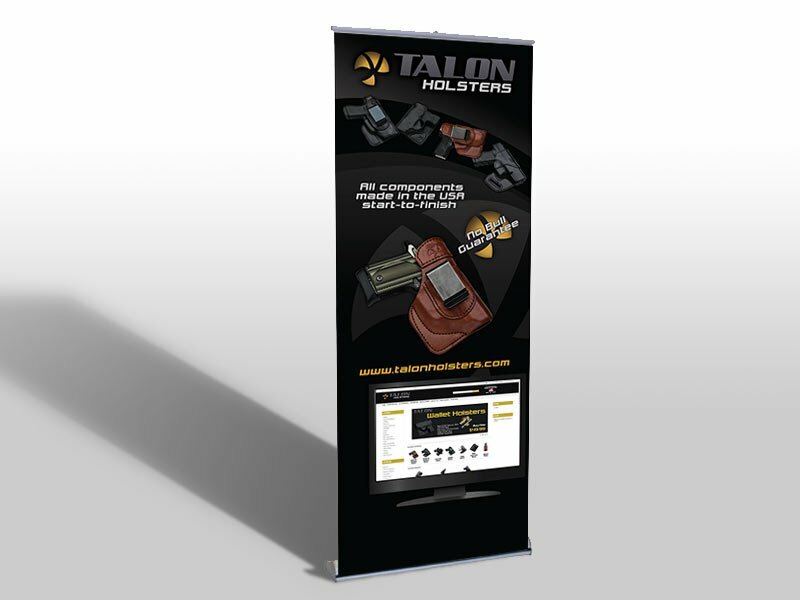 We also made them an 80″ banner stand-up for trade shows and point of sale use. Copyright © 2018 XLECommerce - by Einstein's Eyes Inc. All Rights Reserved.